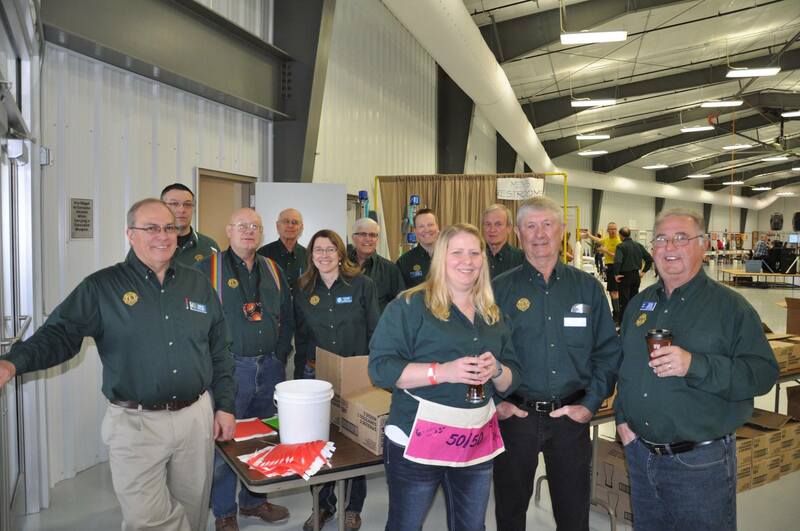 The 13th Annual Roar off the Shore Beer and Wine Festival hosted by the Dyckesville & Kewaunee Lions will be held on March 30, 2019. 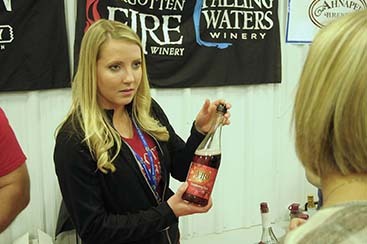 The festival features regionally brewed craft beers and wines, as well as craft brewed beers from popular small breweries across Wisconsin and Michigan. Proceeds from this event go back into our local communities. 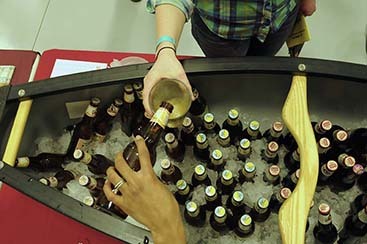 During the time of the event's inception, microbrewed beers were becoming popular so a fundraiser geared around these types of beers seemed to make sense. Originally held in the fall, the event began as a three-year commitment by the Kewaunee Lions Club. With so many other beer related events happening in the same time frame, after the third year the event was moved to March. 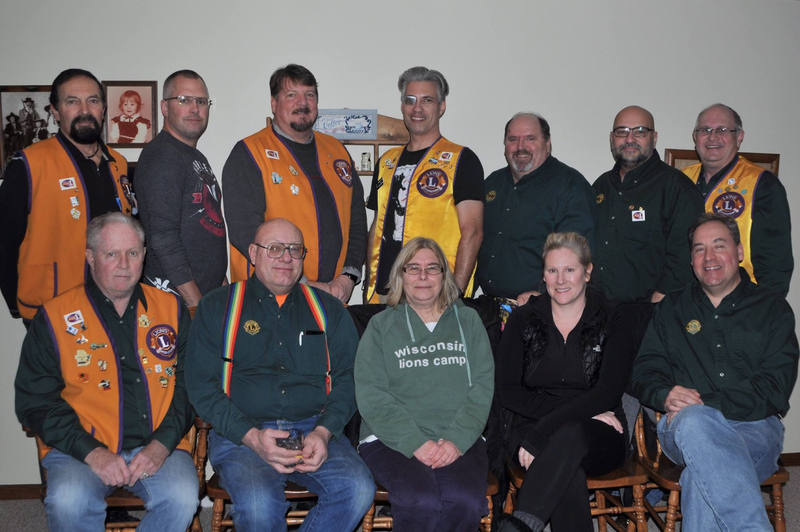 The Kewaunee Lions sought the assistance of the Dyckesville Lions and now the groups run the event togther. The clubs are able to fund numerous projects with the profits from this fundraiser. Red River County Park improvements including new batting cages, new fence, & maintenance of the field for baseball/softball games. Scholarships to graduating High School Students. Brewfest, previously known as Roar On The Shore, has outgrown a few venues. Originally held at the Heritage Farm south of Kewaunee and then Lakehaven Hall in Kewaunee, Roar Off The Shore is now held in the spacious, heated Exhibition Building at the Kewaunee County Fairgrounds located at 625 3rd St. in Luxemburg, WI. 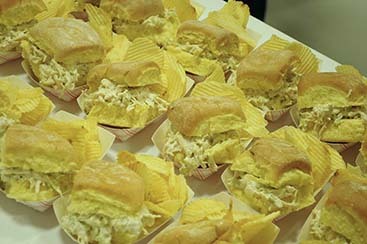 Guests can experience more than 200 beers and 50 wines and enjoy a variety of free food samples from several area food vendors. Doors open at 2:00 p.m. on March 30, 2019, and the festival closes at 6:00 p.m.
Tickets are limited to 850 attendees. Tickets: $40 in advance, $45 at the door. Commemorative glass included. A Designated Driver ticket is $10 and includes non-alcoholic beverages thoughout the afternoon. Find out how to get your tickets here. Bus Transportation is provided from Green Bay, Kewaunee, or Algoma. Advanced reservations are required and may be completed at: www.roarofftheshore.com. Online tickets are available at our website until March 27, 2019. After the festival be sure to enjoy the local dining and nightlife at a number of establishments in the Luxemburg, Kewaunee, and Algoma area. © 2019 Kewaunee & Dyckesville Lions. All rights reserved.